A swimming pool conjures up images of holidays, luxury and glamour. If you love a splash and you have always dreamed of having a private pool in the house, then maybe it's time to make it a reality. Perhaps not the Olympic size swimming pool allowing endless laps, but if space was holding you back from your very own water oasis, then these 6 mini pools can surely inspire. Not all swimming pools need to be huge and grand. Have a look at these 6 mini pools that are high on style and function and definitely attainable in a home. So dive in and explore with us. Small pools do not necessarily mean they have to be barren and unimpressive. This mini pool has all the makings of a luxurious dip. The elevated platform gives a distinct clean and sleek look to the swimming pool as it also clearly demarcates the pool area in the lawn. The lounge chairs below allow plenty of sunbathing opportunity; a scene just out of a luxury resort. Not only this, the well endowed pool has all the glitz and glamour added in small package that includes, temperature controlled water, underwater lighting and Jacuzzi. Now who wants to go to a beach resort when this is right there in the backyard? Mobile pools are perhaps the easiest and most economical way to have a swimming setup right at home. These inflatable pools made of PVC are available in all kinds of sizes and extremely popular with families with kids. Who doesn't want to play in water all day in those hot and harried summer months? The entire family can enjoy a fun day out in the garden splashing water and having a good time. This quick pop up can even be set up as a mini pool in the terrace. When done, deflate and pack away in the garage. Its so easy to carry this mini pool wherever you go! 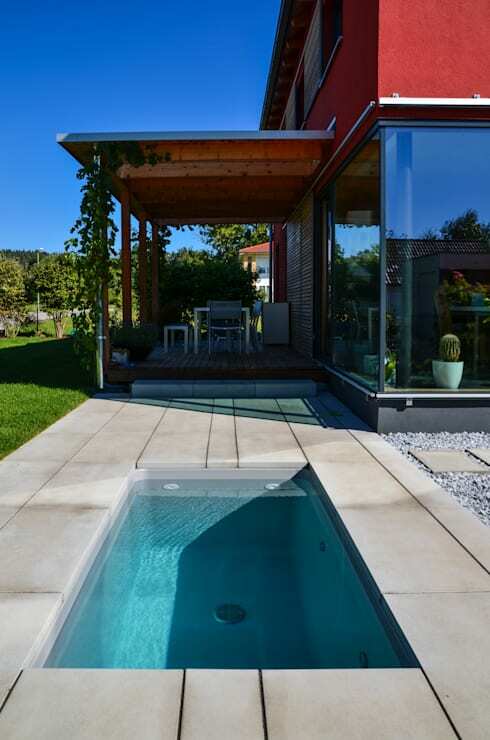 This mini pool may look like a simple bathtub but its fitted with state-of-the-art functionalities, allowing it to be used all year round. In the summer months, the pool is programmed to keep the water cool and in winters the water can be as hot as fit for a sauna. When its dark, switch on the LED lights underwater that can change colors as per your mood. 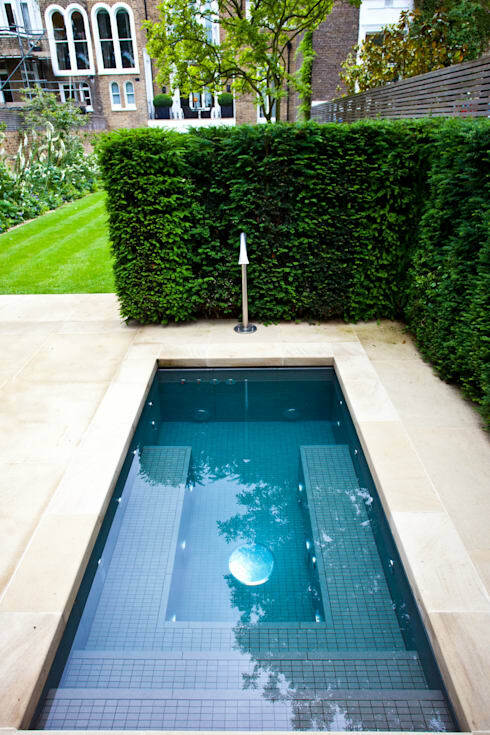 This mini pool in the garden blends so well with its surroundings because of its minimal design. Don't be fooled by its small size. The pool is deep enough to even go for a round of pool gymnastics. This is another great example of a pretty compressed but full of amenities swimming pool. 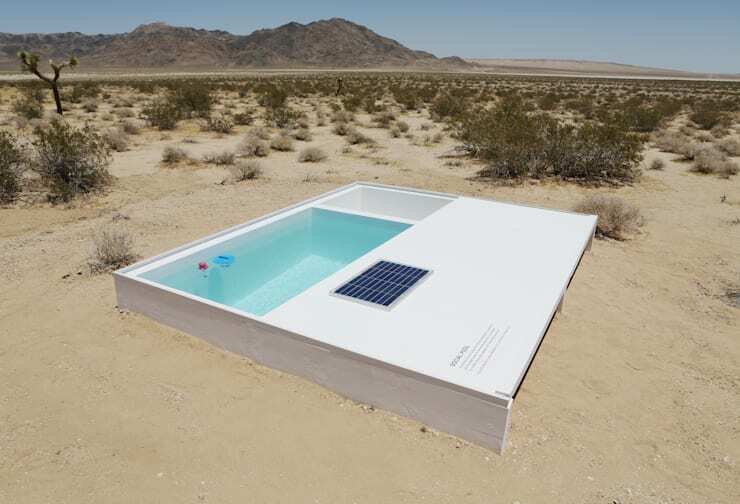 This mini pool located in the southern Californian Mojave Desert is a project of Alfredo Barsuglia. The social pool offers people to cool down and get rid of the dust in the middle of nowhere. The pool has with it an extended platform where you can sit and relax. This entire unit can be easily set up both indoors and outdoors. How about setting up this mini pool for the balcony? 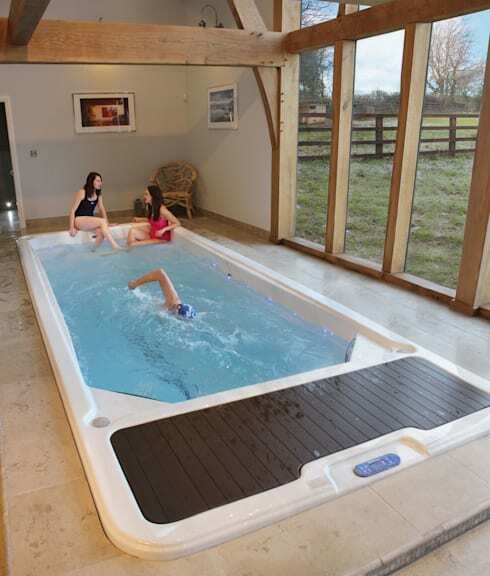 This indoor pool unit is perfect for taking those laps you craved for at any time. If athletics is your interest then your dream of swimming indoors at your will in any weather will come true with this beautiful and practical design. The pool offers swimming spa and Jacuzzi for complete relaxation while the refined counter current system provides ideal conditions for serious training. 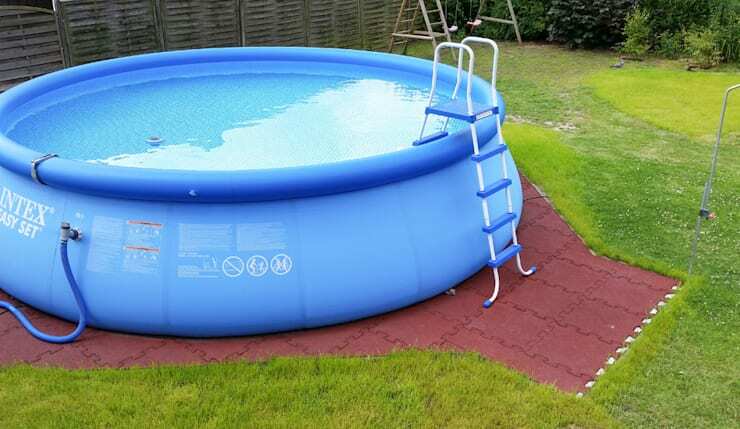 Not ideal for swimming but this mini pool allows you to simply sit in water and enjoy a pleasant day outdoors. The multi -level steps let you lounge underwater while the inbuilt jet streams relax every tense muscle. The eight different massage jet settings are alluring enough to get anyone inside. So sit back and relax with a glass of wine and friends and family for company, while the water does its magic. Would you like to explore more swimming pools? Then have a look at some exquisite indoor swimming pools for more inspiration.